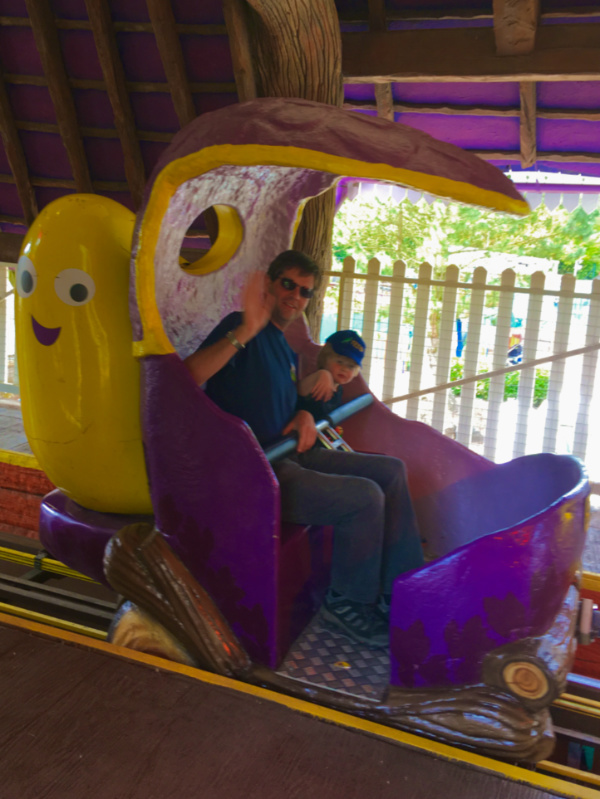 I have written before about the ups and downs of our day out at CBeebies Land in the Alton Towers theme park. 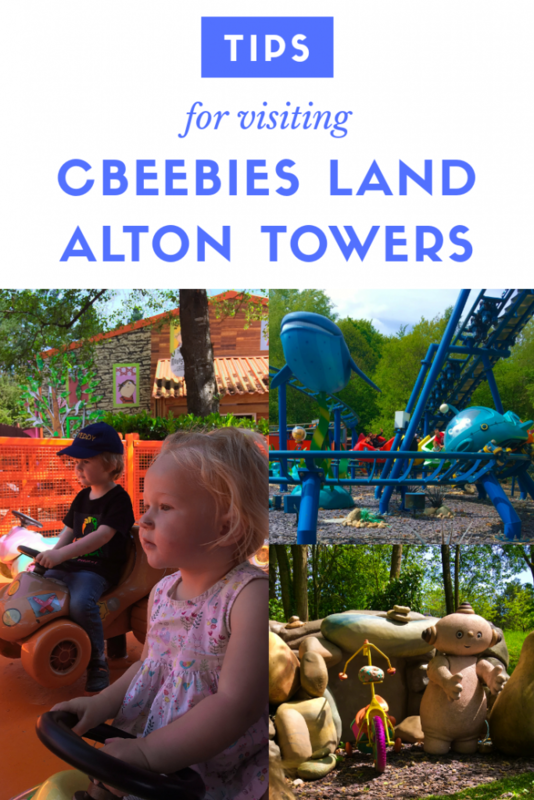 I thought it would be useful to give anyone thinking of visiting an easy quick reference guide to which CBeebies Land Rides are good and what to miss. We went on a weekday during term time so it was busy but there were few queues. However, judging by the areas roped off for queues you could spend your day entertaining frustrated children to get onto a mediocre ride. The queues fluctuate quite a lot throughout the day. On the day we went the biggest rides had queues of around 15 minutes when we arrived at 11am. By 2pm they were down to 5 minutes. The Alton Towers App is really helpful as it has real time queue lengths on it. 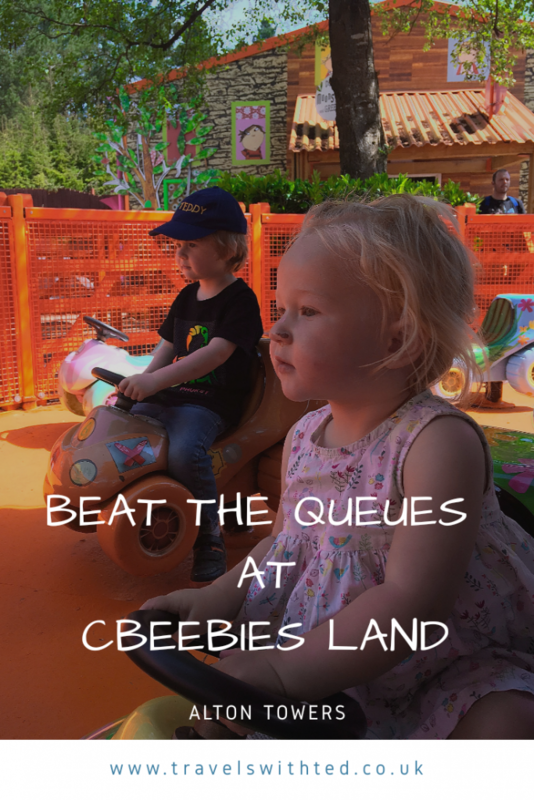 The CBeebies Land area is really compact so if you see a queue time drop you can hot foot it over there. The queue times below are taken from the Alton Towers App between 12 and 1 on a term time Saturday and are there as a guide only. Height Restrictions: Must be over 0.9m. Children between 0.9m and 1.25m must ride with an adult. 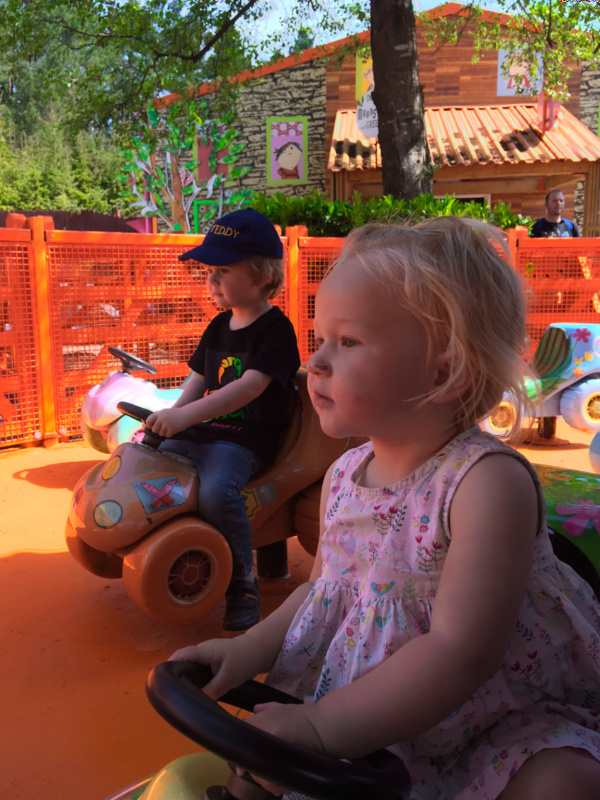 We are big fans of the Go Jetters in our house so this was perhaps our most anticipated of the CBeebies Land rides. You got to sit in and control (up and down) a Vroomster so it delivered on that front. Ted enjoyed spotting Grandmaster Glitch, the Grim Bots and Ubercorn. Having the characters out the front to pose for souvenir selfies with was a great touch too. The queue times are comparatively low so this gets a big thumbs up from us. Height Restrictions: Must be over 0.9m. Children between 0.9m and 1.1m must ride with an adult. 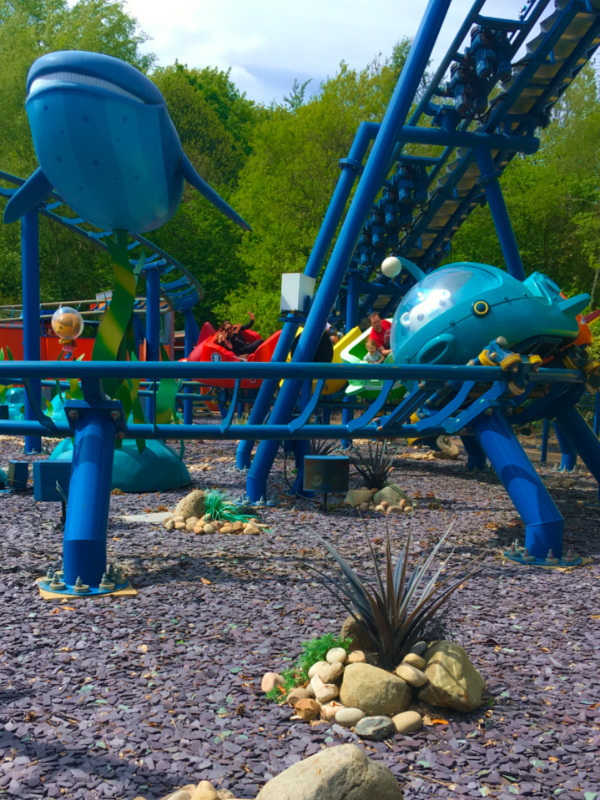 On this ride you join the Octonauts crew on a mission riding in one of the Gups. This is without a doubt the best of the CBeebies Land rides. It’s small but it moves at quite a pace and I don’t think Ted was expecting it to be so fast. As soon as it started to drop he clung on to me and squealed for it to slow down. It did two loops and he got into it the second time round. So much so that he demanded that daddy take him on again before we’d even exited our Gup. Unfortunately the best comes at a price as this roller coaster has one of the highest wait times in CBeebies Land. It is worth it but I would definitely head for your thrill ride either as soon as the park opens or wait until the end of the day. 40 minutes with a bored toddler is excruciating. Height Restrictions: Children under 1m must ride with an adult. One of the best for small kids of the CBeebies Land rides. You jump into Postman Pat’s van and the two kids drive you around to help make deliveries to the good people of Greendale. As you go round you are prompted to press the buttons on the dashboard to deliver certain parcels. This was more the type of thing we were expecting. Most of the rides are like this at one of our favourite children’s theme parks, Sundown Adventure Land. They don’t look like much but they work because there’s no age or height restrictions so all children can join in. We liked the addition of the interactive buttons, although Ted didn’t really seem to understand them. This consistently has the longest wait time of all the CBeebies Land rides but we’re not sure it’s worth it. 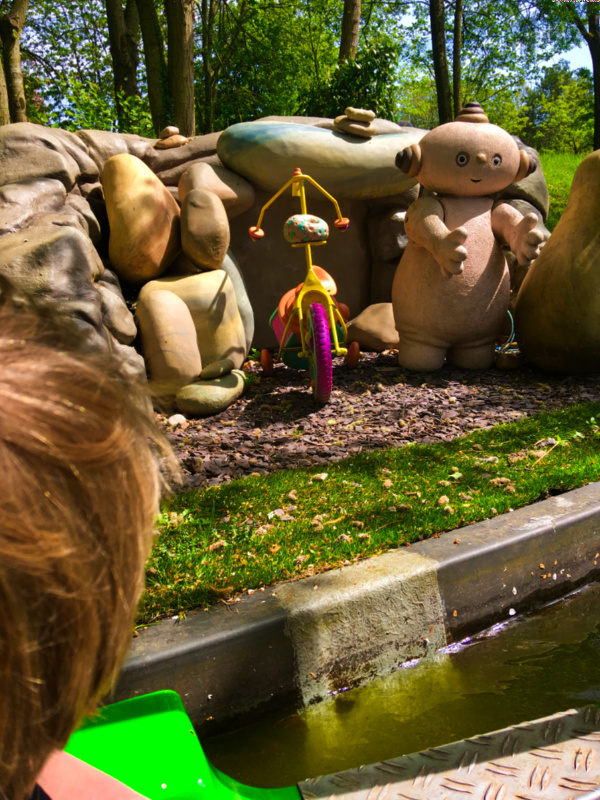 You hop onto a boat and float round the “Night Garden” where you pass all the characters from the programme. It’s fine. Miss May seemed mesmerised by the gently moving boat, music and characters and Ted asked to go on twice. I think us adults were expecting a bit more though. The animatronics were rubbish, broken or non-existent and the whole thing just looked a bit past it’s best and poorly maintained. Two other annoyances to mention. Firstly, they could definitely have reduced the queue times by filling the boats. Both times we went on we waited about 10 minutes and both times there was room for another 4-6 people in our boat. Secondly, the exit from the ride takes you directly into the gift shop. I’m not paying £25 for an Ubercorn, no matter how much I want one. The verdict from the adults is that it’s definitely not worth more than a 10-15 minute wait. The kids may disagree. Height Restrictions: You must be over 0.9m to enter. Ring the doorbell and you’re in Justin’s House. Well sort of. The could probably have made a really cool soft play based on Justin’s House but instead they chose to make a ball shoot area. When you enter you are handed a cloth bag to collect up soft balls from the floor which you then insert into various machines and watch them pop, shoot or do nothing (as far as I could see anyway). 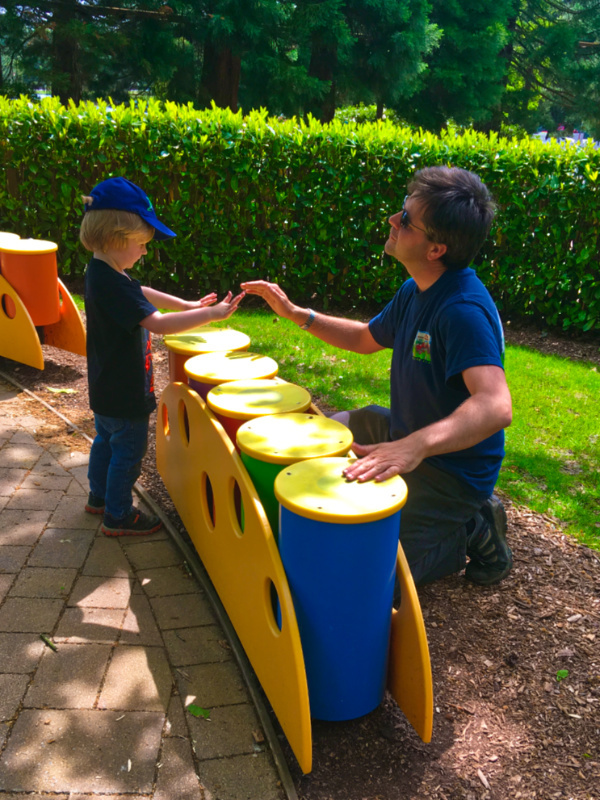 I whizzed the three year old round fairly quickly as the baby wasn’t allowed in and I felt we could all be having a lot more fun elsewhere. Ted did seem to like it but I think it was aimed at older children. Next time we’ll skip it and ride the Vroomster a couple more times. Not one of the CBeebies Land rides as such and we didn’t spend much time here so I may be giving it an unfair review but I was expecting more. It seemed quite small. We’ll try again next time we visit. There’s no wait time so maybe pop in when it’s busy elsewhere. I’m not entirely sure what the name is referring to. I’m sure if you’ve seen every episode and read every book the whole thing makes more sense. There are two rooms, the first is a mock up of Charlie and Lola’s kitchen. The second room appeared to be a mock up of their dinner. There was a cool interactive projection thing, a ball pit and a small climbing soft play type bit. Overall the whole thing was a bit underwhelming. 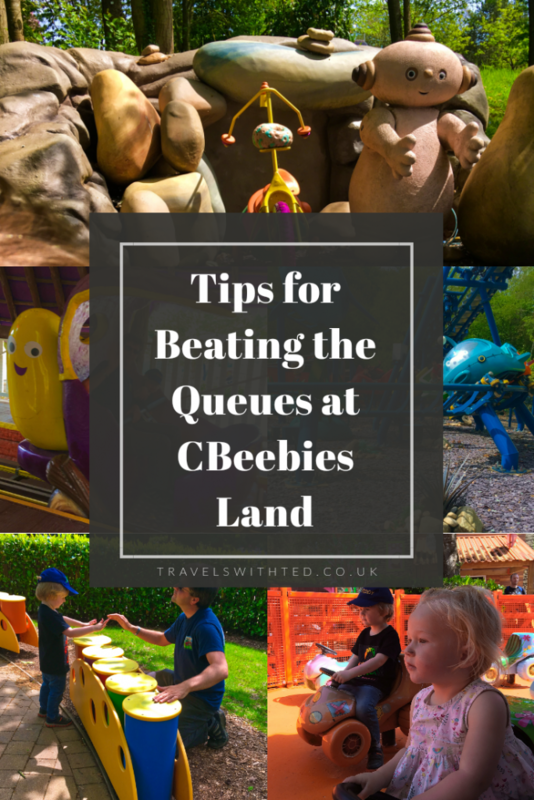 On the plus side there doesn’t ever seem to be a queue and it would be a good place to keep the small ones entertained if the big ones want to go on one of the other CBeebies Land rides. Height Restrictions: Children under 1m must ride with an adult (there’s a bench in the middle for grown-ups to sit on). One of the better CBeebies Land rides for small children. The Numtums are having a race, jump in a car and join them. The kids sit in a car and go round in a circle while you get dizzy in the middle. Ted (age 3) got bored on this one very quickly but it was just right for May (age 12 months). She went round with a massive smile on her face. It’s right outside Justin’s House so it’s another great place to entertain the smaller ones while you wait for the bigger ones to emerge. Wait times always seem to be at zero. This was one of our highlights. We would have spent more time in here if May hadn’t kept making a break for the door. The displays were all interactive and very well done. Just like the programme, the lab uses the five senses to divide the room into five easily navigable experiment areas. With no wait time this is well worth putting your head round the door for. Height Restrictions: Children must ride with an adult. 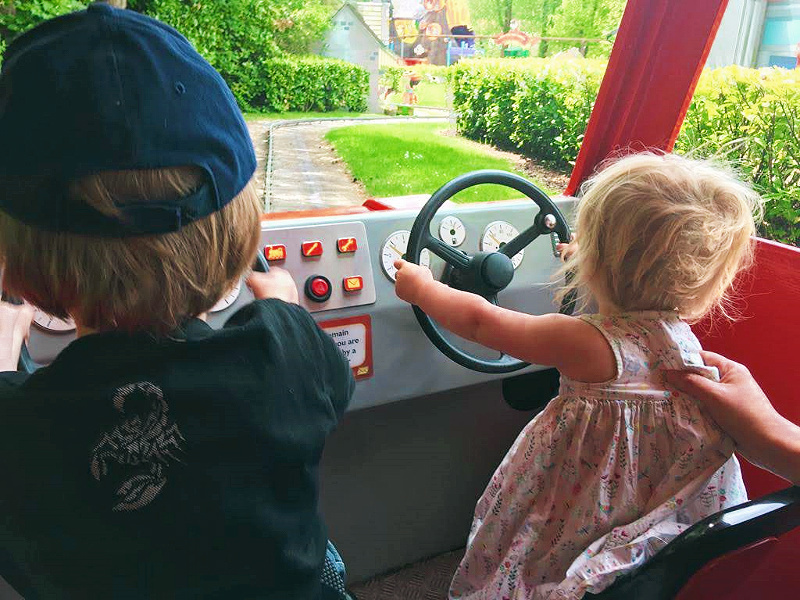 Jump in a bug car and take a drive around the tree tops of CBeebies Land. 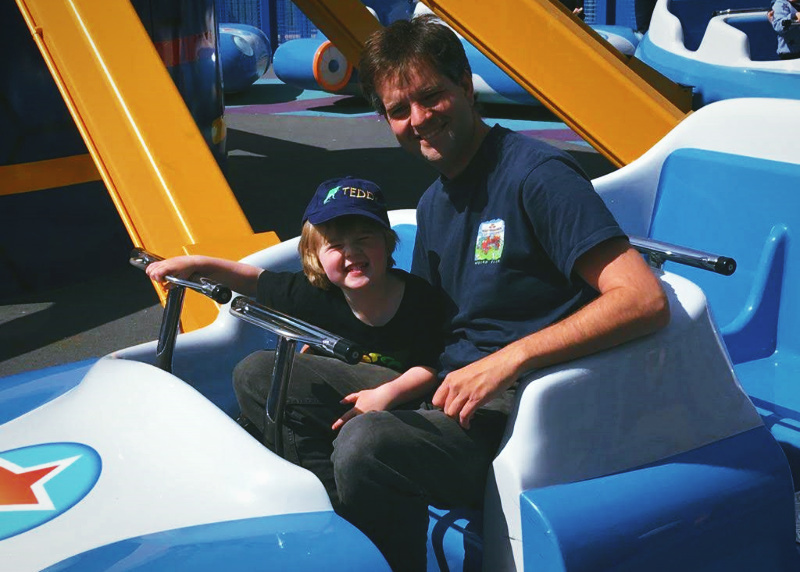 This skyride takes you through or over all the other CBeebies Land rides. Ted absolutely loved it and his little heart was broken when we couldn’t go on again due to a branch on the line. We waited by the entrance for a good 15 minutes before I managed to bribe him with crisps to walk away. The downside is the wait times are long. The cars only seat two so the queue just doesn’t move very fast. My advice is to head there at 10am, as soon as the park opens and be the first to ride. The training camp is actually a really good adventure play area. It was May’s favourite place as she was allowed to run free. There was a range of equipment suitable for a variety of ages. Since we were there during term time a lot of the stuff aimed at bigger kids was abandoned but I bet there’s a queue for the zip wire at weekends. Queue Time: Not applicable for most. There are two interactive show which run constantly throughout the day in their own areas, Mr Bloom’s Allotment and The Furchester Hotel Live. There are also shows running at allotted times in the Big Fun Showtime arena. We saw the Hey Duggee show in the arena, Mr Bloom and plus an Octonauts show in the evening at the hotel. The three shows we saw all followed a similar narrative. The Cbeebies character in question needs help with something. Items are hidden in the audience for the children to find. Activities need to be completed which involve pulling a few members of the audience onto the stage. The mission is completed, time to queue to meet a terrifying, giant version of your child’s idols. I don’t think Ted really knew what to make of the shows. He didn’t like the big characters at all. We love Duggee with all our hearts in this house but as far as he was concerned the thing with freakishly long legs he was looking at was NOT Duggee. I would recommend going to see at least one show. Especially if your child’s favourite character is in one and they might want to meet them after. Based on our experiences I wouldn’t plan your day around seeing several. 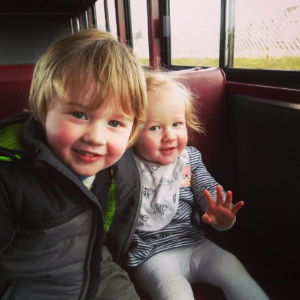 Would We Recommend a Trip to CBeebies Land? We loved our stay in the CBeebies Land Hotel. You can click here to book a stay or read about our stay first here. Overall we had a fantastic visit despite the trials and tribulations of the day. It is underwhelming for the adults, it definitely feels like most things could have been done a little better. For the kids though, it is magic and not something they should miss out on. Seems like such a cute theme park for little ones. It’s always important to beat the lines, otherwise it does become miserable for all! Great tips! It’s always nice having an idea before getting there for amusement places like this, and how to beat the lines is ALWAYS helpful! Thanks for sharing. This place looks amazing! We have some similar fun parks in Germany. I love how they are tailored for tiny kiddos! Awwww this brings back so many great memories! We loved CBeebies world when piper was little! I actually think she’d still enjoy it now! How fun! those Garden Magical Boat Ride looks like a blast! I know my daughter would love it! This is such an adorable day out idea! I’m sure all kids absolutely adore it there – no wonder the lines are long! It looks like really good fun. The app sounds like a great way to reduce waiting time by identifying the shorter queues. What a fun place to visit with kids! A lovely post to help visitors enjoy their time in the park. I love your tips. We have never been to place before. We are going for a weekend in June. It really hadn’t occurred to me about the queues! Eek! I must check Kippers height too as it sounds like he needs to be 0.9 for the better rides. We never got a chance to visit here before we left the UK and I’ll be honest and say we probably won’t. The wait times with little ones for some rides seem crazy, worse than some Disneyland Paris rides. I do think places like this need to implement better systems to cater for the young visitors!